Special Education Teaching Tips: How Do Fine-Motor Activities Develop Visual Perception? You may be wondering- How do fine-motor activities develop visual perception in special needs students? Visual Perception is the brain’s interpretation of what is seen. This enables children to identify objects, discriminate colors, sizes and shapes and learn to read and write. Young children learn these skills by manipulating objects and this learning begins during the first six months of life as babies shake toys, grab their toes and reach out to pop bubbles. These early movements teach babies about spatial relationships. “Spatial relationships” refers to how objects relate to one another and the space around them. Developing the visual perceptual skills to interpret spatial relationships is necessary in order to fit shapes into puzzles, move pawns on a game board and discriminate one letter from another. Manipulating these objects teaches the young child that objects vary in size, length and shape. These concepts will eventually help the older child recognize that letters Q and C are round, upper case letters are larger than lower case letters and that letters L, E and T are made up of long and short lines. Children with special needs continue to learn about these spatial relationships for many years as they build log cabins and model airplanes. Developing directionality helps children learn that letters are formed in the left to right and top to bottom directions and that in the west we read and turn pages in a book from left to right. A child needs good directionality skills to discriminate letters such as b and d that differ according to whether the circle is on the right or left of the line. Lacing boards with extra large holes (cut out of cardboard or plastic). 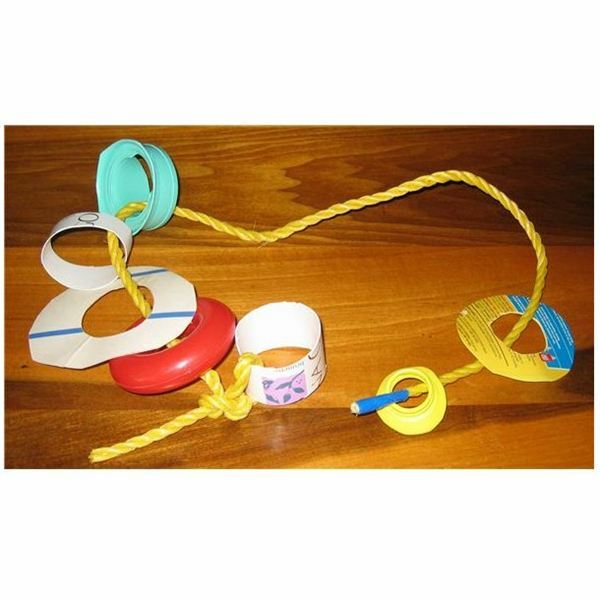 Lacing shapes cut out of cardboard or plastic (instead of beads). Cut extra large holes out of the center and use cord instead of flimsy string (see photo). Stacking larger boxes that have sand, bells or other auditory objects inside. Shape sorters with only one or two shape openings such as a square shape to push blocks through or a slit to insert cards (see photo). 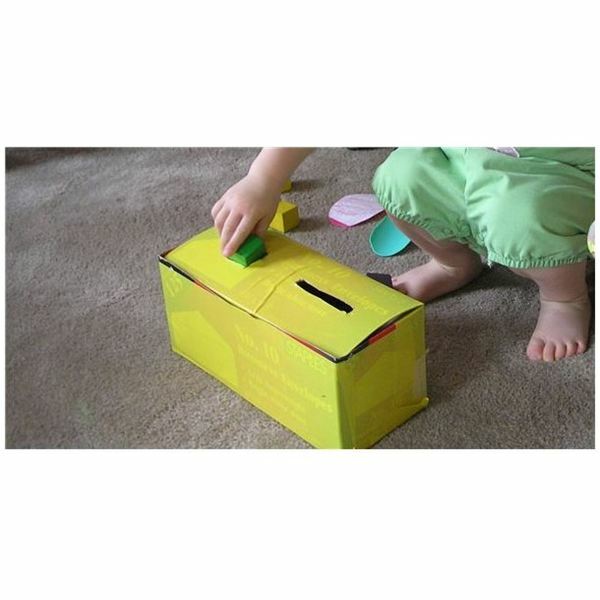 Fine-motor activities that are adapted to be challenging enough to motivate, but not too difficult to discourage, help young children develop the visual perceptual skills needed to read and write. Teachers and therapists can help parents choose the right toys to meet their children’s learning needs.